The horror stories are true. Freezing temperatures have indeed caused havoc on residential plumbing systems resulting in tens of thousands of dollars in damages. The cost of repairing the pipes and structural parts of the plumbing system, in addition to water damages, in extreme situations can amount to the price of a small home. The potential damage to your home as a result of not winterizing your home cannot be underestimated. These horrendous plumbing emergencies will continue to occur in homes that are not prepared for the cold winter months in the Pacific Northwest. In addition to the over the top expenses associated with busted pipes, more often than not homeowners insurance does not cover these types of damages. It is highly recommended you explore flood insurance options as this is a great way to protect yourself in the case of a plumbing emergency. Furthermore, your insurance premiums are likely to significantly increase due to the structural vulnerabilities that will result from not winterizing your home. 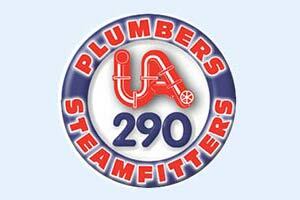 Busted Pipes: No exaggeration, there is nothing worse for your plumbing system than busted pipes. When pipes burst they spew water at an uncontrollable rate resulting in immense damages. Cracked Pipes: When pipes start cracking, your plumbing system is in serious trouble. Prevent this from happening by winterizing your plumbing system. Expanded Pipes: When there is water left in your pipes and the water freezes it causes the pipe to expand. Expanded pipes from ice tend to start cracking. Exposure to Raw Sewage: When your plumbing system is failing is it not uncommon for residents to be exposed to raw sewage when excessive flooding occurs. Flooding: The water damage from flooding is the worst headache. Structural water damage brings on an entirely different set of issues and leaves your home extremely vulnerable. Wood Rot: A nasty side effect of water damage, wood rot is expensive to eradicate and tends to spread rapidly. Mold and Mildew Growth: The moisture from flooding will likely result in a hasty production of mold and mildew. Pest Infestations: Anytime there is moisture present, especially in wooden structures, pest infestations are a significant threat. Pests thrive in environments where water damage is present and this can be extremely costly to deal with. The effects of not winterizing your home are devastating, but you are in luck as there are steps you can take to protect your home’s plumbing from the debilitating freezing temperatures that winter brings. It is important to pay careful attention to the tips on what should and shouldn’t be winterized. Sometimes, despite winterizing your plumbing system, pipes burst. In some cases, when pipes burst in floors or ceilings it may take some time before it is obvious. Pay attention to water pressure, unusual noises from your plumbing system, and any other signs that there may be an issue. If you suspect cracked, defective, faulty, or expanded piping in your residential plumbing system, call a reputable plumber immediately.